We’re experiencing the last visages of winter down under and although occasionally the odd warm day is starting to appear more regularly, some days are still capable of chilling you to the bone. Sometimes I leave the oven on a low heat roasting away root vegetables like beetroots for hours, just to have an excuse to warm my kitchen/living room up a little bit. It’s an exercise in a luxurious waste of energy resulting in some thoroughly tasty veggies. 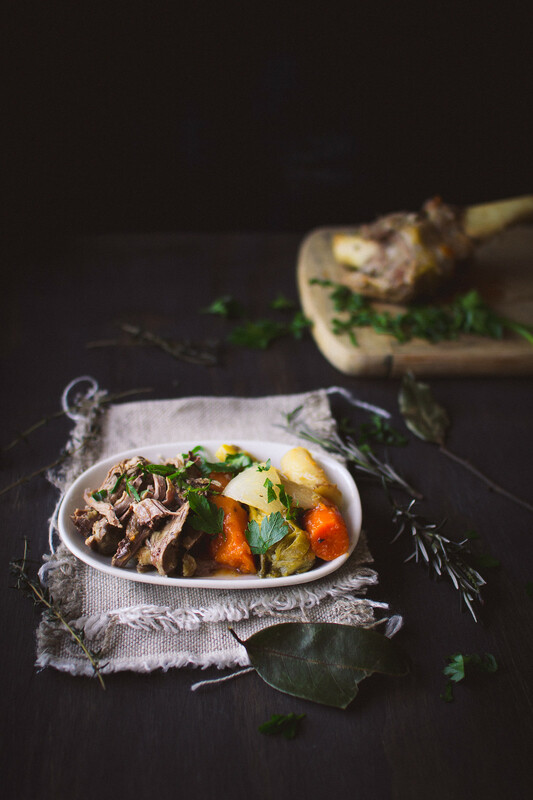 You may look at a recipe named “7 hour lamb” and run away in fear of the time and energy needed to prepare and cook such a meal but in reality it’s actually just a prolonged heat solution for your household in winter resulting in a very simple, rustic and tasty dinner. Roughly chop the vegetables into large chunks add them to the pot. Cook for another 3 hours until vegetables and lamb are almost falling apart. 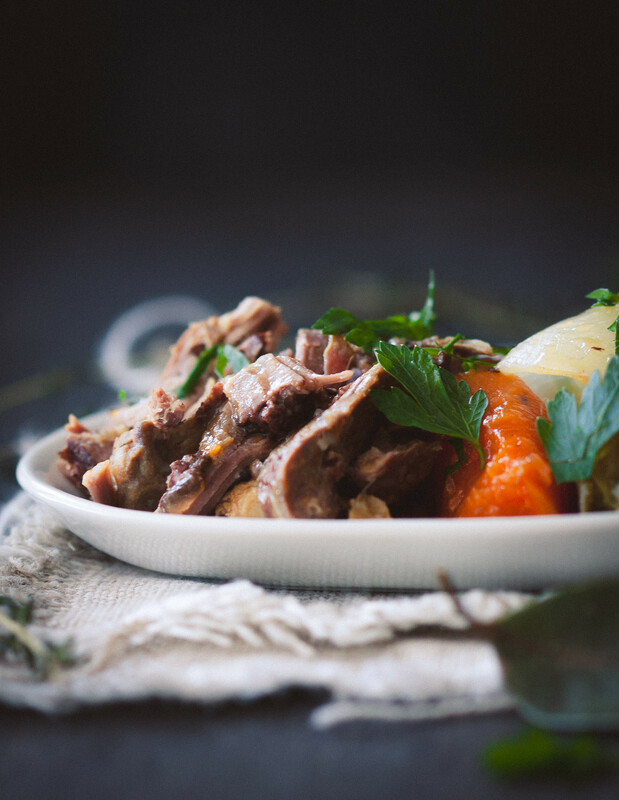 Carefully fish the vegetables and lamb from the broth. Roughly tear the lamb meat apart. Reduce the stock by half and use to dress the lamb.